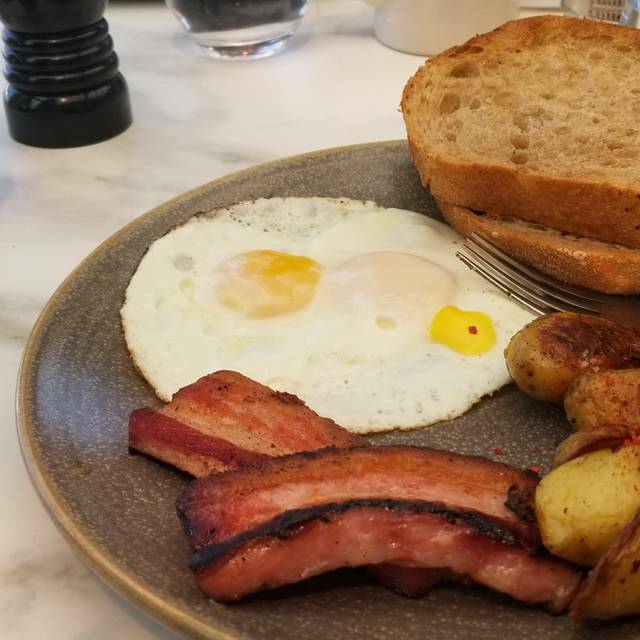 There are nearby small parking lots on Peters St. and by the railroad tracks on St. Mary St.
Salt Craft is an ingredient-driven casual American restaurant in the heart of downtown Pleasanton, California. With seasonal menus and a focus on products of the Tri Valley region, Salt Craft’s team of chefs offer elevated takes on classic dishes and the everyday meal. Award-winning chef and Pleasanton resident, owner Matt Greco blends modern and home cooking in an open kitchen he designed set in a renovated historic California style home. Our guest can enjoy breakfast, lunch, and dinner along with full-service in our outdoor arbor seating (heated in cooler months), or get breakfast and lunch to-go. be to bring new utensils for each course instead of putting the customers used utensils on the table after you take away the salad or appetizer course. This does not seem sanitary. I'm glad I chose to make a reservation here... this place will easily fall into my regular brunch rotation! My friend and myself both hated our salads. Mine was too sweet and otherwise bland. My friends was bland and being a asparagus salad it had too few asparagus and a bland cheese. Both salads were a big plate of hard greens. The orange juice tasted fake and blended. Not pleasant. This was this restaurant's third strike for me. Not coming back. Overall good. All of us loved our pasta entrees The Barretta cheese and homemade bread was great. The schnitzel was charred and over cooked. Everyone raved about the mushroom soup. Our server and her support staff were professional and helpful. Another great brunch at Salt Craft. The staff is amazing. Terry will make you feel at home. Food is above and beyond!! Highly recommend it!! We love Salt Craft! Great service from Teri dnd Chef Matt! One of our favorite places to eat! Always an outstanding meal at Salt Craft. Great service. Excellent food. Everything house made from sausage to bread to pasta! One of us had the crustless quiche with salad and the other had french toast & turkey kale sausage. The sausage is also house made. Both meals were delicious and used fresh quality ingredients. Portions were generous so no lunch for us that day. Our waitress, Terry, was fun and attentive. She made perfect suggestions. We are anxious to go back and explore the menu some more. This place is a gem!! The food is fresh and delicious, the portions are large and the staff are extremely knowledgeable and friendly. Highly recommend for lunch or dinner!! I loved the first time I went to this place. Food - horrible portion w lamb Rueben. Skippy portion, dry and tasteless. Great spot, great locally sourced food. Options for everyone. Some of us ate breakfast others ate sandwiches. Well priced. Loved walking around downtown Pleasanton after. Dinner was great. It was a great experience. Wine was awesome. I've visited a few times prior to this particular visit and they never fail to impress. It's a great gem with a unique ambiance: outdoor seating only. I love that they allow dogs and even offer to bring them water. They serve Verve coffee - a really nice roast out of Santa Cruz. It would be great to see the menu change a little from time to time, but they definitely offer a nice selection. The staff is always appreciative and super accommodating. For example, on this visit, I wanted a breakfast item I saw online, apparently, from their M-F breakfast menu - they were more than willing to make that instead of what was on the weekend menu. 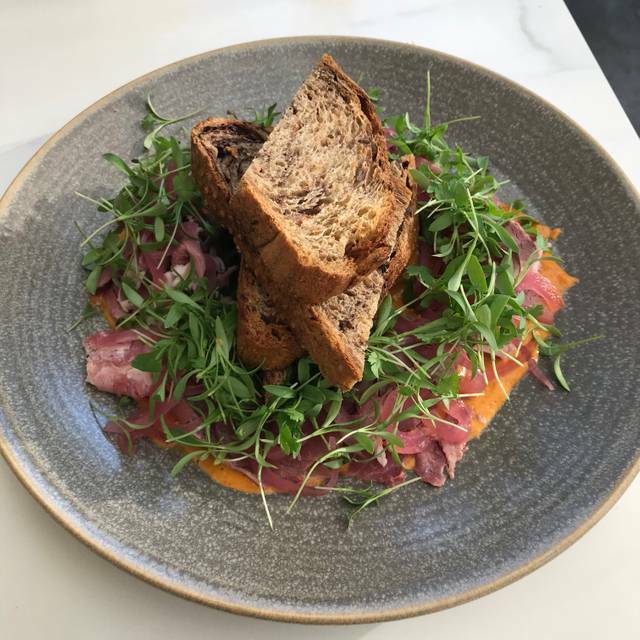 My husband and I were pleasantly surprised with how delicious the food was at Salt Craft. We loved the appetizer (pastrami) and the main course (ragu). Also, the salad was out of this world and the fresh baked bread was soooo good. We love to go to top restaurants and we are super excited that this little gem is now in Pleasanton! This was second time and we loved it again. The food is interesting and great variety. The service was the best I’ve had in town. This was a brunch experience. I wanted to like this place but did not. Food was good. Service was very slow. Ambience was not good. It was noisy in the tent and the inexpensive garden furniture was disappointing. I hope the negatives could be improved. Salad course used quality ingredients, was a generous portion with a lovely presentation. Then all of that was ruined with overly acidic dressing. It was as if someone poured a cheap wine vinegar over an otherwise great salad. Exceptionally good food. Have told multiple friends already about this gem! Matt puts his heart into every dish - his pastas are not just cooked perfectly but the textures and flavors are the perfect match to his original and memorable sauces. Great find! Don't come out to Pleasanton often but if you do, make sure to have a meal here. Everything was cooked to perfection. Rustic, comfort food was my take. All outdoor seating with heating, as kitchen only part of restaurant indoors, was unique. Staff was great! I highly recommend! We love Salt Craft! So happy that there is a great restaurant in downtown Pleasanton. Every time we have been here, the food is amazing. The menu is somewhat rotating, so usually when you come back you’ll notice that some menu items have been swapped out. The always have a number of apps, salads, pastas and mains. Their pasta and bread is all home made. I’ve literally never had anything bad here and have been for breakfast, brunch and dinner. The service is prompt and friendly. The waitress was really friendly and helpful. I wasn’t impressed with the food at all, considering the price point. I ordered the duck with dirty rice, and while the duck tasted very good and was nicely prepared I didn’t enjoy the rice or the greens on the plate- my friend liked the rice though, so maybe it was just me. If I went there again I wouldn’t mind having the duck, but I’d hope to have it come with a different side. The dessert we ordered (the brownie) didn’t seem super fresh. It was tasty enough, but I wish it were more gooey/fudgy/warm than it was. 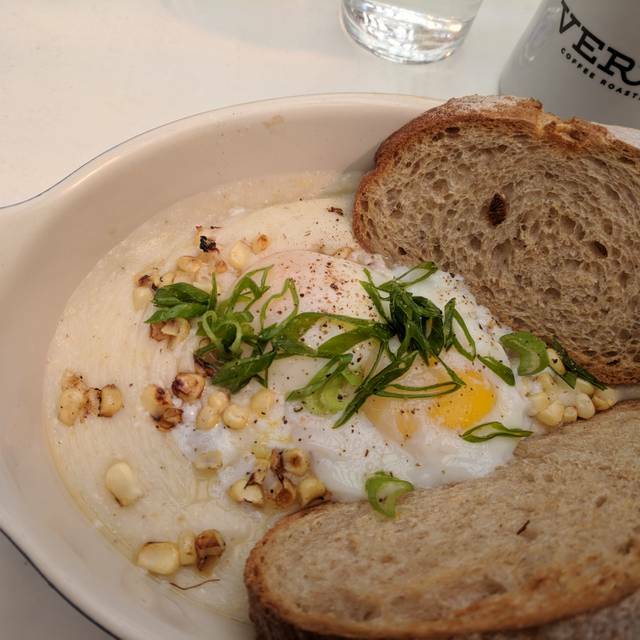 Creative, tasty brunch options - it was hard to choose what to eat. The portion was large and filling. Can't wait to go back again! Delicious food and really nice people working there. 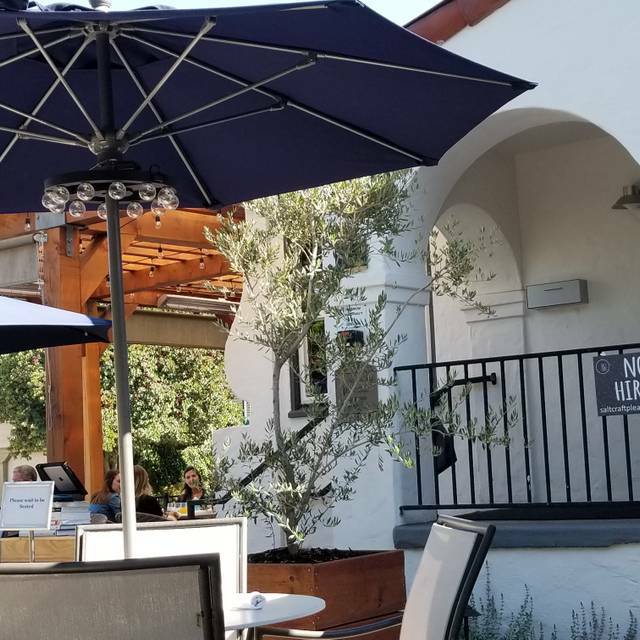 High quality - you can call it “farm to table” - it’s a great spot downtown Pleasanton and enjoyable to sit and enjoy a meal... my personal and professional go to spot. 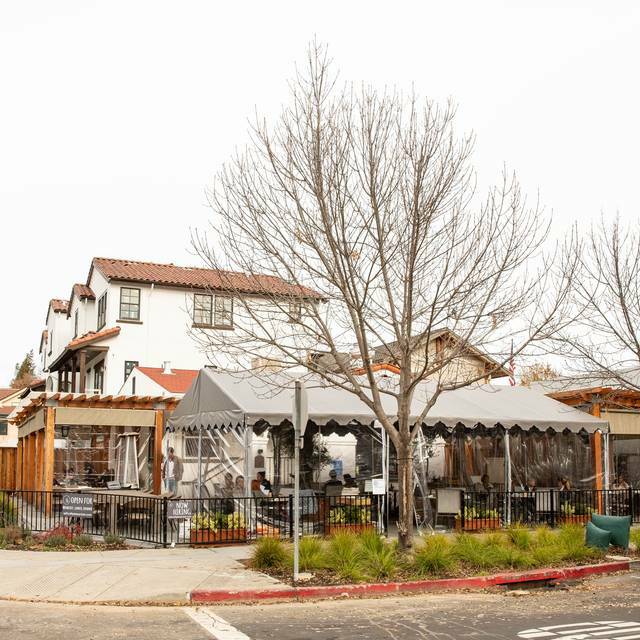 Salt Craft has the most seasonal delicious dishes in Pleasanton! The atmosphere was warm and friendly. Always a delicious meal! My friends had never been and they loved brunch. As expected, enjoyed by all. As usual, amazing food and great service. The cold weather outside was not felt at all as the heaters were doing their job! The food was nice and the service was good but it was quite overpriced (about 30% more than a comparable dinner at other downtown restaurants) and the "atmosphere" was non-existent. I'd been once before for a brunch in the summer but was hesitant to go for dinner as the weather got cold. I was right to be skeptical that they could create a comfortable environment. They've covered the patio in a plastic tent and have a portable gas heater. The heater seemed not to be functioning properly as it put off a significant amount of fumes. We chose not to sit near the heater for fear of getting headaches or sick. Instead, we were up against one of the plastic walls lined with sandbags to keep out water from the recent rains. The seating was all patio tables and chairs (of course) so they were cold plastic and metal (maybe some pillows or throw blankets would have helped?). For apps, we had rosemary bread and burrata cheese and a sunchoke dish. Both were quite nice but at $13 each seemed overpriced. The pasta and rice dishes were $19 each, which seemed reasonable although the walu spaghetti seemed to only have small flakes of fish. The other entree was a beef braise, which was good, but again, at $28 seemed a bit overpriced for what was served. We might try again in better weather but can't see this being part of our regular rotation. The experience was great overall. The service was really wonderful for being short staffed. Our server answered all of our questions. The coffee rye and Myer’s Lemon pie rocked. Super delcious and unique options for brunch! I may be addicted to their in house made cinnamon rolls. 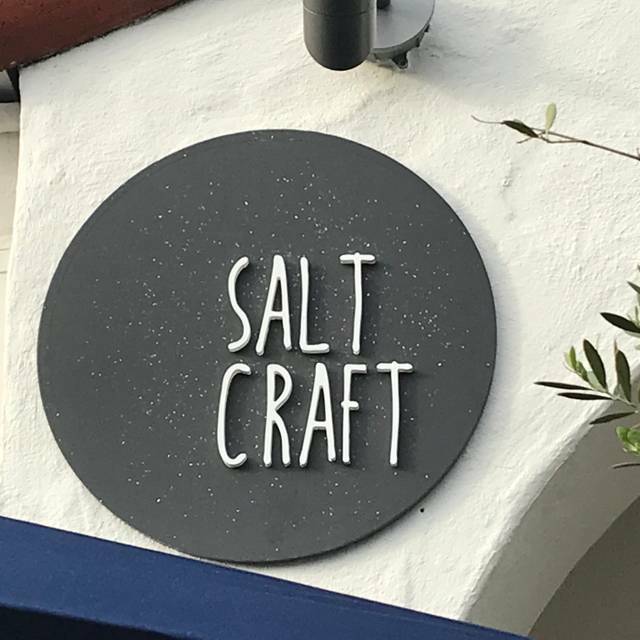 Salt Craft is a real gem of a place. I’ve enjoyed breakfast, brunch, lunch and dinner here and have NEVER been disappointed. Flavors are inventive and you can literally taste the freshness of their food in every bite. I’m a breast cancer survivor so eating well is always top of mind for me. I love that I have a place to enjoy amazing food that I know is good for me too!! Two thumbs up Salt! !